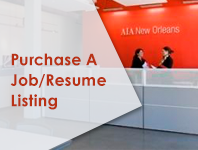 The AIA New Orleans Career Center offers resources to both employers and job seekers. 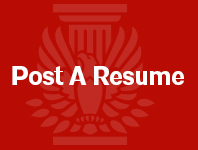 For the employer seeking qualified candidates, search resumes and post job openings. If you are looking for a job in the field of architecture and design, upload your resume and search available job positions. 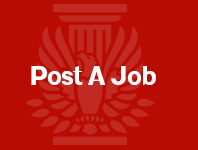 To submit a resume or job posting you must purchase a listing package from the online store. Listings are $25/month, with additional months available for $10 each. Registered AIA Members (with valid AIA Member #) may post for free. Students with a valid student ID may post for free by emailing Joel Pominville.